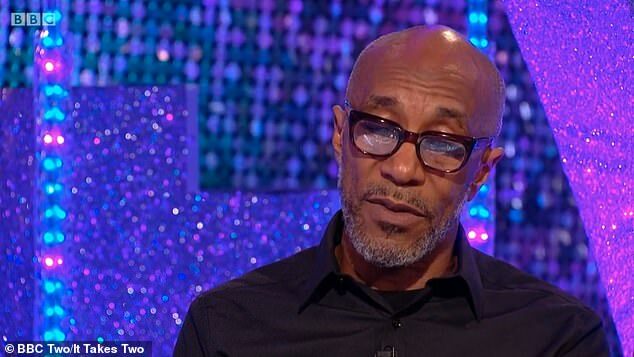 Strictly Come Dancing star Danny John Jules has reportedly been issued with a ‘final warning’ by show bosses over his ‘bullying’ behaviour. The Sun report Amy, 27, threatened to quit the show, while a source has told MailOnline it has been a ‘tough’ week for the pair. ‘Amy’s been crying constantly at the hands of Danny. He gets very angry in the training room and he swears and shouts at her a lot. ‘He also makes a lot of snide comments about him being ­famous and her not. After fleeing to a cafe after a tense session on Wednesday, the Welsh dancer called producers to say she did not know if she could continue, leading to bosses to step in and hold a series of meetings with the acclaimed actor. The pair were pictured looking in good spirits as they left filming for It Takes Two together on Thursday night, beaming for the cameras. 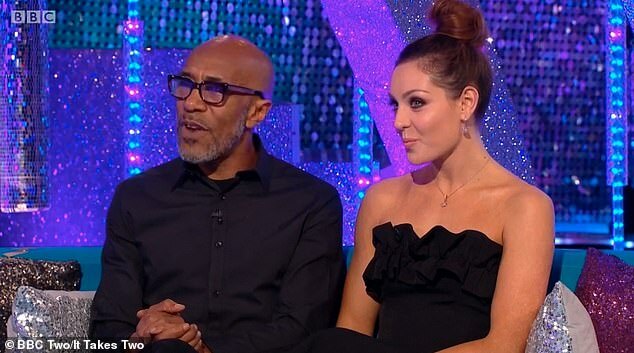 Meanwhile Amy has been battling a nasty ankle injury after clashing with fellow pro Gorka during a group dance practice for the Halloween special of the show.